Ideal for fleets needing the freedom to fuel anywhere in the U.S. Simplify your fleet's fueling while saving your business time and money. 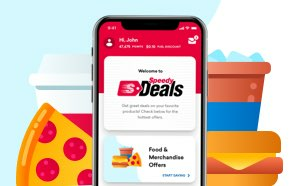 Acceptance - Accepted at all Speedway locations. Plus, nationwide acceptance at 90% of U.S. retail fuel locations and 45,000 service locations – anywhere WEX Inc. is accepted. Savings - Valuable rebates starting at gallon one at Speedway! Save up to 5¢ per gallon. Accepted at 2,770 locations throughout 22 states. Store brands include Speedway, Hess and WilcoHess. Accepted at all Speedway, Hess and WilcoHess locations. Plus, additional acceptance at over 90% of retail fuel locations and 45,000 service locations throughout the U.S. Accepted at 2700+ Speedway locations, and any fueling station that accepts MasterCard. The goal of this web site is to provide you with access to information about our products and services. Do not use this web site if you do not agree with these terms. Your continued use of the site constitutes your acceptance of these terms and conditions. If you have any questions, please call Customer Service at 1-866-885-4965. You are accessing speedwayfleetcards.com using the Internet and your Internet service provider. Security cannot be guaranteed. We hereby disclaim all liability for any security breaches of online communications or for any electronic, computer or other system failures. We shall not be liable to any person for loss, liability or damages, including consequential or special damages, arising as a result of any security breaches or system failures or any other defect of the electronic online communication procedures, including, without limitation, loss due to data modification or destruction. 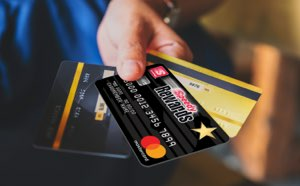 You agree not to use speedwayfleetcards.com for any purpose except access to descriptions of our products and services. In using this site, you agree not to disrupt or interfere with the site, its services, system resources, nor to upload, post or otherwise transmit any viruses or other harmful, disruptive, inappropriate, illegal or destructive files. You also agree not to use, attempt to use, or access other accounts, or create or use a false identity on the site. You agree to indemnify and hold us, and our parents and affiliates, harmless for any loss or damage caused by your access, attempted access to or manipulation of any account or data of any third party and/or any defect in your system that causes damage to our hardware, software or data. We reserve the right to terminate or suspend access to speedwayfleetcards.com, in whole or in part, at any time, without notice. 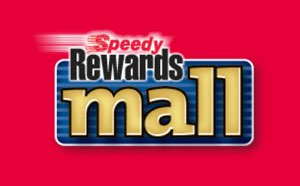 speedwayfleetcards.com and the information provided on this site is provided “AS IS” without any representation or warranty, express or implied, of any kind, including, but not limited to, warranties of merchantability, noninfringement, or fitness for a particular purpose. WEX Inc., its subsidiaries and affiliates, make no warranty that use of the site or the materials will be uninterrupted, timely, secure, or error free or that defects, if any will be corrected and we assume no responsibility for any damages that may be suffered by you, including, but not limited to, losses from delays, nondelivery of content or any communications, errors, system down time, network or system outages, file corruption or service interruptions. For questions concerning these terms or the products described online please call the following number: 1-866-885-4965, or send inquiries to: WEX Inc., P.O. Box 639, Portland, ME 04104. Be sure to include your account number with all inquiries.